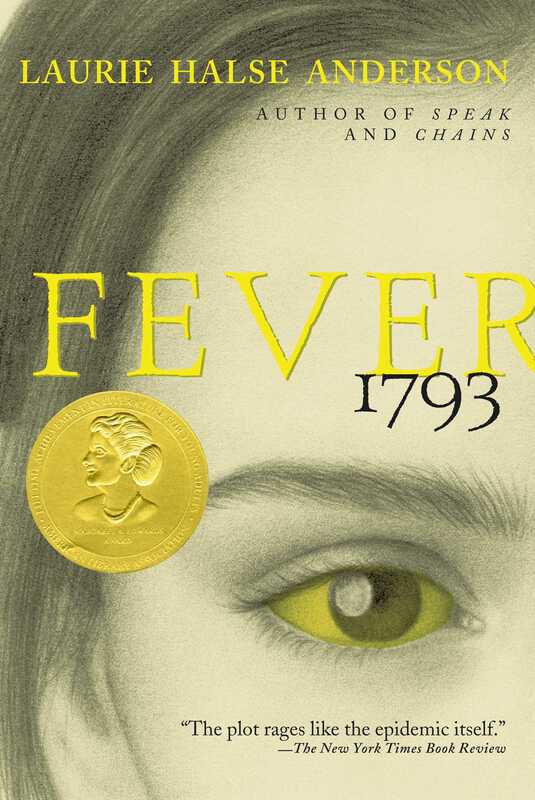 It's late summer 1793, and the streets of Philadelphia are abuzz with mosquitoes and rumors of fever. Down near the docks, many have taken ill, and the fatalities are mounting. Now they include Polly, the serving girl at the Cook Coffeehouse. But fourteen-year-old Mattie Cook doesn't get a moment to mourn the passing of her childhood playmate. New customers have overrun her family's coffee shop, located far from the mosquito-infested river, and Mattie's concerns of fever are all but overshadowed by dreams of growing her family's small business into a thriving enterprise. But when the fever begins to strike closer to home, Mattie's struggle to build a new life must give way to a new fight-the fight to stay alive. August 1793. Fourteen-year-old Mattie Cook is ambitious, adventurous, and sick to death of listening to her mother. Mattie has plans of her own. She wants to turn the Cook Coffeehouse into the finest business in Philadelphia, the capital of the new United States. But the waterfront is abuzz with reports of disease. “Fever” spreads from the docks and creeps toward Mattie’s home, threatening everything she holds dear. As the cemeteries fill with fever victims, fear turns to panic, and thousands flee the city. Then tragedy strikes the coffeehouse, and Mattie is trapped in a living nightmare. Suddenly her struggle to build a better life must give way to something even more important—the fight to stay alive. 1. What was Philadelphia like in 1793? What were the advantages and disadvantages of living in the countryside outside of Philadelphia? 2. How was the life of a fourteen-year-old in 1793 different from the life of a fourteen-year-old today? In which period would you rather live? Why? 3. Mattie’s grandfather didn’t think there was any need to rush out of Philadelphia when the fever started to spread. Why did some people think it was safe to stay? What would you have done? 4. The color yellow is used throughout the story. What does it symbolize? What other symbols are used in the book? 5. What do you think will happen to Mattie, her mother, and friends in 1794? What will their lives look like in 1800? In 1813? 6. During the Revolutionary War, women took on tasks that were traditionally performed by men. After the war they were expected to go back to their spinning wheels and kitchens. How are Maggie’s dreams in conflict with what her society expects of young women? Why does Maggie’s mother want a different life for her daughter? 7. The Free African Society volunteered to take care of the sick and bury the dead, even though there was no cure for yellow fever. Why did they do that? Would you have helped? • Mattie was born in 1776, Make a time line of Mattie’s life and the history of the United States. • Philadelphia was home to the largest population of free African-Americans in the United States. Research how escaped slaves made their way to Philadelphia. When did these routes become the Underground Railroad? Make a multimedia presentation using music from the late 1700’s. • Rewrite a scene from Eliza’s point of view. • Make a list of words they used in 1793 that we don’t use today, such as “balderdash” and “bunkum.” What words that we use today might sound strange and old-fashioned in the year 2200? • Calculate how many people died in the yellow fever epidemic. Compare the mortality rate with that of the 1918 influenza epidemic and the AIDS epidemic. • Research the work of Dr. Walter Reed. How do mosquitoes spread yellow fever?? What other diseases do mosquitoes spread? Why aren’t all diseases spread this way? • Put on a tea party like the Ogilvies did, or turn your classroom into the Cook Coffeehouse. Use recipes from the late 1700’s and invite the community? School Library Journal starred review Readers will be drawn in by the characters and will emerge with a sharp and graphic picture of another world. The New York Times Book Review A gripping story about living morally under the shadow of rampant death. VOYA A vivid work, rich with well-drawn characters. The New York Times Book Review The plot rages like the epidemic itself.